While Europeans knew little about India and China in the Early Middle Ages, the Arab world had more contacts with these Asian countries. As sailors, merchants and travellers headed to the east, they returned with bits of knowledge. In the late ninth-century a writer named Abu Zad al-Sirafi made a compilation of notes and stories from this part of the world, entitled Accounts of China and India. The text offers a rich description of these lands, as well as other parts of Asia, and includes interesting stories such as one about a man from Basra who upon seeing a ship bound for China was “seized by a sudden desire that caused him, as was fated, to travel to China aboard the ship.” He eventually would have an audience with the Chinese Emperor and be given a lot of money for his return journey. Much of the text gives details that would have been interesting to merchants, including goods that could be bought and sold, what was necessary to travel around these countries, and even bankruptcy laws. It also offers insights into the daily life in those countries, including one of the first ever references to the use of toilet paper. The Chinese, whether young or old, wear silk in both winter and summer. Their ruling classes wear the finest silk; other classes whatever quality they can afford. In winter, the men wear two pairs of trousers, or three, four, five, or even more pairs, according to what they can afford. This they do in order to keep the lower parts of their bodies warm, on account of the prevalence of damp and fear of its ill effects. In summer they wear a single gown of silk, or something of that sort. They do not wear turbans. Their staple food is rice. They often cook a sauce to go with it, which they pour on the rice before eating it. Their ruling classes, however, eat wheat bread and flesh of all sorts of animals, including pigs and other such creatures. They have various kinds of fruits – apples, peaches, citrons, pomegranates, quinces, pears, bananas, sugarcane, watermelons, figs, grapes, serpent melons, cucumbers, jujubes, walnuts, almonds, hazelnuts, pistachioes, plums, apricots, serviceberries, and coconuts. Not many date palms are to be found in China, except for the occasional specimen in the garden of a private house. Their drink is a wine made from rice. Grape wine is not to be found in their land, and it is never imported – indeed, they do not know of it and do not drink it. From rice they manufacture vinegar, wine, jellied sweetmeats, and other such products. The Chinese are unhygienic, and they do not wash their backsides with water after defecating but merely wipe themselves with Chinese paper. They eat carrion and similar things, just as the Magians do; in fact, their religion resembles that of the Magians. Their womenfolk leave their heads uncovered but put combs in their hair, a single woman often wearing twenty combs of ivory and other such materials. Their menfolk, however, cover their heads with something like a cap. In dealing with thieves, their practice is to put them to death if they are caught. The Chinese use wood to build their walls, while the Indians build in stone, gypsum plaster, brick, and mud; these materials are however sometimes used in China also. Neither the Chinese nor the Indians are users of carpets. The Indians let their beards grow long, and I have often seen an Indian with a beard three cubits in length. Also, they do not clip their moustaches. In contrast, most Chinese men are beardless by nature, for the most part. When someone in India suffers a bereavement, he shaves his head and his beard. Both the Chinese and the Indians assert that their idols speak to them, when, in reality, it is their temple servants who speak to them. 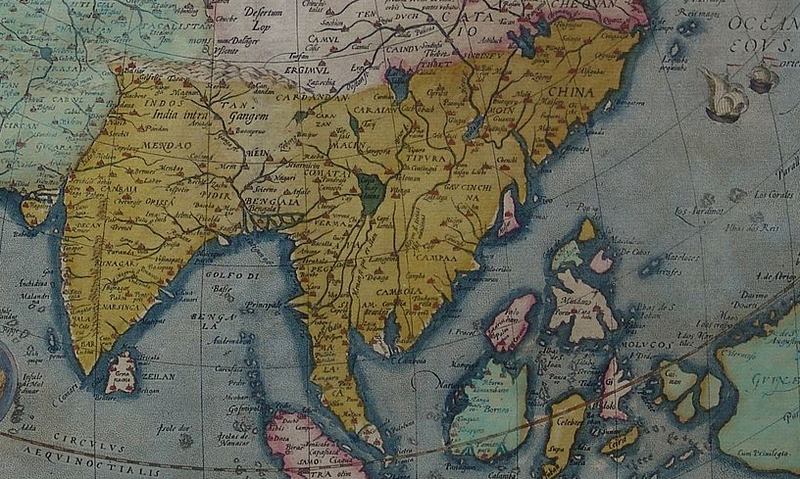 India is greater in extent than China, several times so, and has a greater number of kings. China, though, is more densely inhabited and cultivated. The Chinese have no native tradition of religious learning, in fact their religion came from India. They maintain that it was the Indians who introduced idols to their land and that they, the Indians, were the original people of religion. In both lands, they believe in the transmigration of souls as a basic tenet, although they differ on the resulting details of dogma. India is the land of medicine and of philosophers; the Chinese also have medical knowledge. Most of their medicine involves therapeutic burning. In addition, they have a knowledge of astronomy and astrology, although this is more widespread in India. I do not know of a single member of either race who is a Muslim and Arabic is not spoken. The Indians possess few horses; they are more common in China. The Chinese, however, do not possess elephants and do not let them remain in their land, as they regard them as ill-omened. China is more salubrious and finer land than India. In most of the land of India there is no urban settlements, but everywhere you go in China they have a great walled city. Also, China is a healthier country, with fewer diseases and better air: the blind, the one-eyed, and the deformed are seldom seen there, although in India there are plenty of them. The Chinese are better-looking than the Indians and more like Arabs in their dress and in their choice of mounts; in fact, their style of clothing when they ride out in public is quite similar to that of the Arabs, for they wear long tunics and belts. The Indians, however, wear two waist cloths and adorn themselves with bangles of gold and jewels, the men as well as the women. You can read a full translation of this text in Two Arabic Travel Books, edited and translated by James E. Montgomery, which is part of New York University Press’ Library of Arabic Literature.